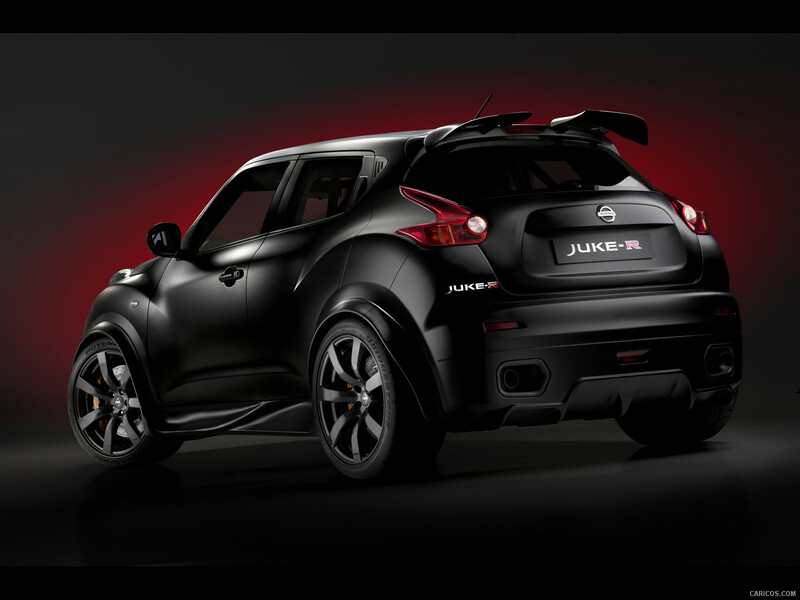 Remember the Juke-R? Nissan has crumbled to the demands of ultra wealthy sheiks and footy stars and decided to produce a limited run of their bonkers Godzilla powered CUV. For the next four weeks you can order your very own Juke R. This 550+ hp all wheel driver is the biggest wolf you’ll ever see stuffed in a sheep suit. For a taste of what driving this might be like, give our pal Joey Sim’s autocross impression a read. Mind you, the Juke R isn’t quite as earth shatteringly dominant as a GTR, it’s a bit taller and more aerodynamically brick-like. The heart of Godzilla is inside though, just waiting to defeat ZL1 and GT500 Smog Monsters at a track day near you. I want one. I want one bad. Is there a mega-hella-lotto I can win in the next three and a half weeks? This entry was posted in Uncategorized and tagged Juke-R, Megahellalotto prize, Nissan GT-R, Nissan Juke R, Order your Juke R now. Bookmark the permalink. ← |Trailer|- “Truth in 24 II”= Mega news! I really want one of these. I even went and test drove a regular Juke simply because of this monster.